The whirlwind of the Christmas season has caught me again. One crazy day, earlier this week, made quite a contrast with the twinkling lights, o come all ye faithful spirit that one hopes for during Advent. 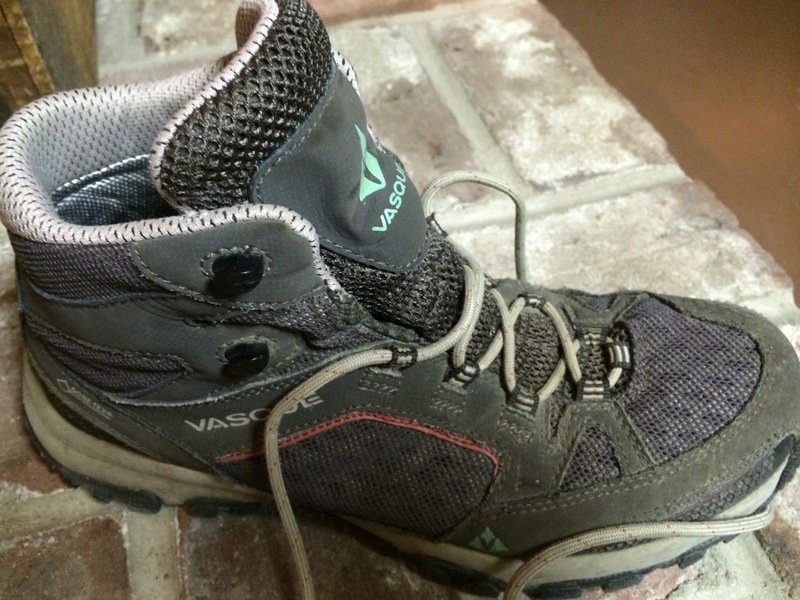 It all began with one of my hiking boots. Worn down by a month-long cold and sinus infection, I decided to cheer myself up by dressing down for school in the middle of the week. Jeans, a comfy fleece, and the boots, last worn on a walk back in the woods. You know that I love animal signs, the tracks and even the other less savory evidence left behind by my woodland friends. Just not on my shoe. By the time I noticed a certain aroma, I was already at school. Nothing would get that stuff off, and, believe me, I tried. My phone was almost dead, a blog post published itself way before it was finished, you get the idea! Later that evening, though, I read the day’s accumulated email messages, and there it was. The best gift of Christmas, a surprise, and one to be treasured. After writing a book like Upwards, honestly sharing from the depths of your innermost self, you kind of hold your breath. You await the response, and sometimes the waiting isn’t easy. As the months pass, the book continues to gain momentum, to open doors, to connect people. And yet, still you wonder sometimes if you got the words right. Now, at last, I believe that I did. So, this Christmas, remember that your best gift to give might simply be words that someone has been waiting and hoping for. Words of encouragement or understanding, forgiveness or love. The best gift of Christmas. Hello from your long-lost writer and many apologies for the months of silence. I last left you in France, an eternity ago, and certainly have some catching up to do. After spending most of the summer of 2017 shepherding Upwards from tender manuscript to the polished published version, I promised myself that the summer of 2018 would be for travel and adventure. Let’s see if my promise came true! John Meader snapped this picture of me during his photography workshop at the Maine Canoe Symposium. Nursing some bruised ribs, I did not get out on the water, but enjoyed both presenting and learning, as well as trying out my new camera, a Canon point and shoot that can zoom to 25X. As school ended, I headed south, to camp in Shenandoah National Park with my kids and extend my book tour into the Adirondacks. Waterfalls in full torrent joined several bears in making this a memorable visit. Driving in along the Skyline Drive, a curious cub stood watching from some tall grass, just a quick connection, then I was past. A mother with two cubs, in steadily growing rain above Dark Hollow Falls, and later a lumbering, unconcerned young bear right on the manicured gravel-and-bench civilization of the Limberlost Trail made my week. We hiked, made pizza and peach cobbler in the reflector oven, and wisely retreated home one night when it simply poured. Our family has not been blessed with any babies for around a decade, so we were thrilled to discover we had a new little cousin on the way. Stopping to see the mother-to-be in NJ in June, I brought some of my family’s favorite books, of course! Epilogue – We welcomed Emmett Archer into the family on September 22, 2018! July was intense. At last, after three long years, another expedition was on the calendar. 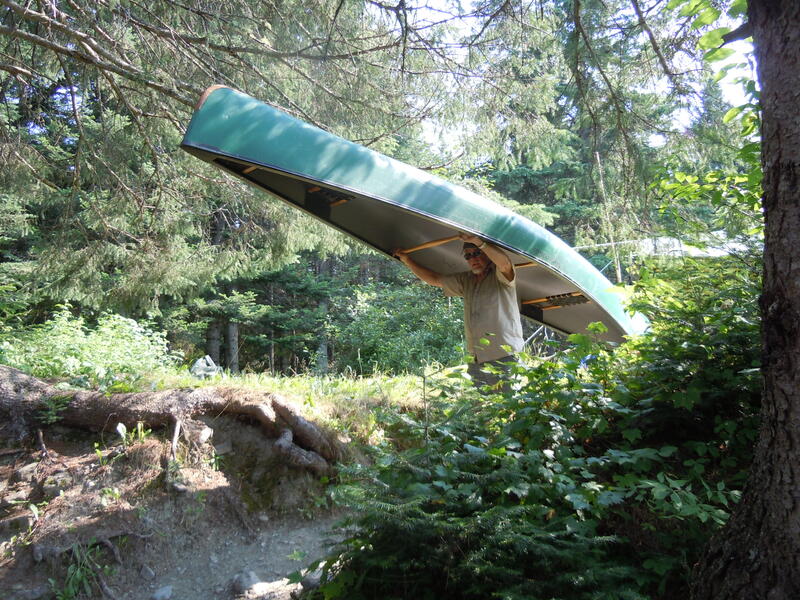 A combination backpacking and canoeing challenge, it would prove to be the heart of my next writing project. Off the grid most of the time, I chose not to blog, but promise to share the story in detail with everyone who has been hoping for another book. Then, of course, there is the thrill and pull of the author life. I’m still in love with it and there’s no end to the stories that I could tell. Meeting thru-paddlers and people who’ve climbed Everest, famous authors and readers with heart-wrenching stories of challenge and loss. I loved my recent review in the Adirondack magazine LOCALadk, by J.T. Hall, whom I met at the Adirondack Paddlefest back in May. 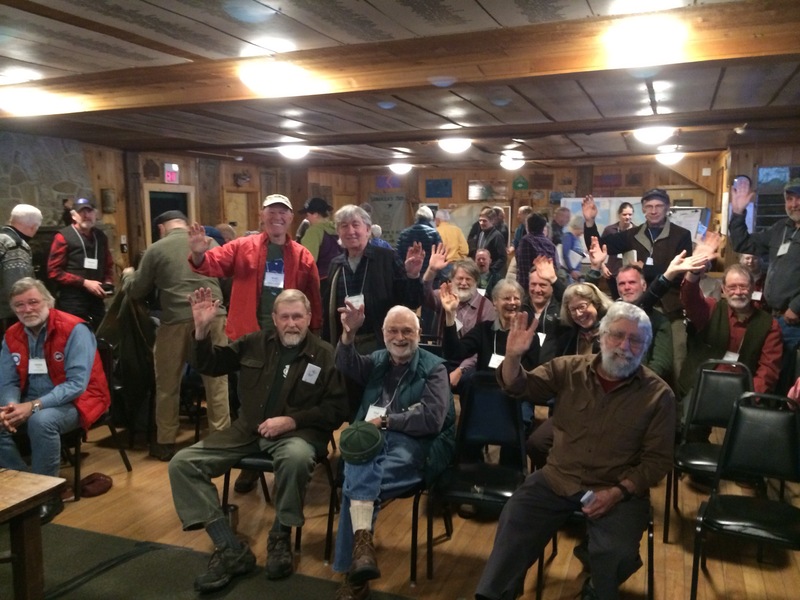 Thanks to a generous invitation, last weekend I attended my first (but probably not my last) Wilderness Paddlers Gathering. 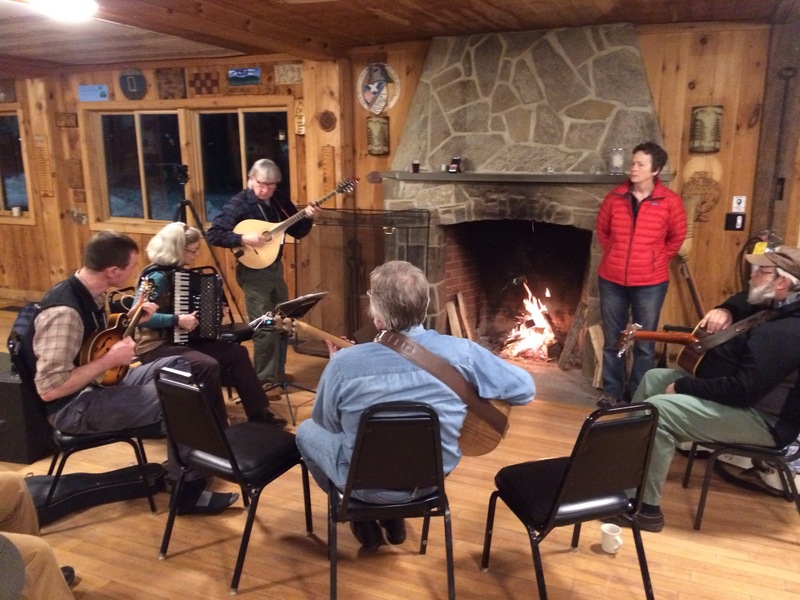 Begun in March 1993 during “a blizzard of historic proportions,” this annual event has become a tradition at the Hulbert Outdoor Center in Fairlee, Vermont. For those of us who love canoeing, what could be a better way to spend a March weekend? Sharing stories, photos and videos, skills, and incredible amounts of tasty food with those who love canoeing the waters of the north. Once there, I discovered a few old friends and made lots of new ones. I had 25 minutes on Saturday morning to tell my story and practiced at great length on the 4-hour drive over to this comfortable camp on the NH/VT border. See what a great audience I had! As always, though, listening to everyone else was the most fun. Through the beautiful magic of media, we rafted the Grand Canyon, paddled the Alatna and Koyukuk Rivers in Alaska, and followed Chewonki down Quebec and Labrador’s George River. My favorite was a documentary, “Into Twin Galaxies: A Greenland Epic.” This hour-long film follows three young explorers on a insanely breath-taking quest kite-skiing across the Greenland ice cap to reach a river that they discovered on Google Earth. Delayed by the terrain and a serious injury, they arrive later than planned to find ice where they expected open water. When fate finally provides them with a churning river filled with huge, uncharted waterfalls, viewers will hold their breath in astonishment at what they try to run. Seize the chance to see this one when you can! Of course, you never know quite what you’ll learn. 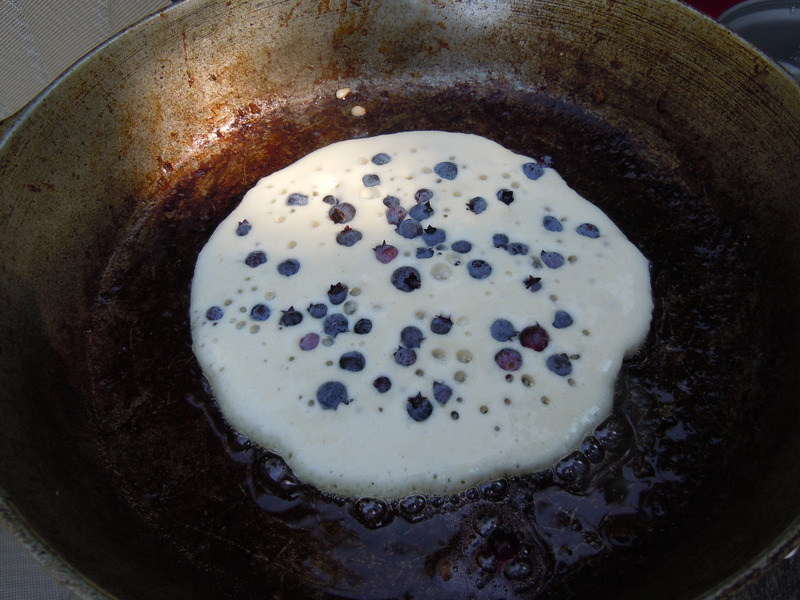 Above, retired Vermont fish & game warden Eric Nuse, whose stories are featured in Megan Price’s book series, Vermont Wild, tells a great breakfast story. Seems there was this ripe moose carcass caught up in a tree, one that could perhaps be best removed with dynamite. The key to success, learned the hard way, was to have a long enough cord to get well out of range! 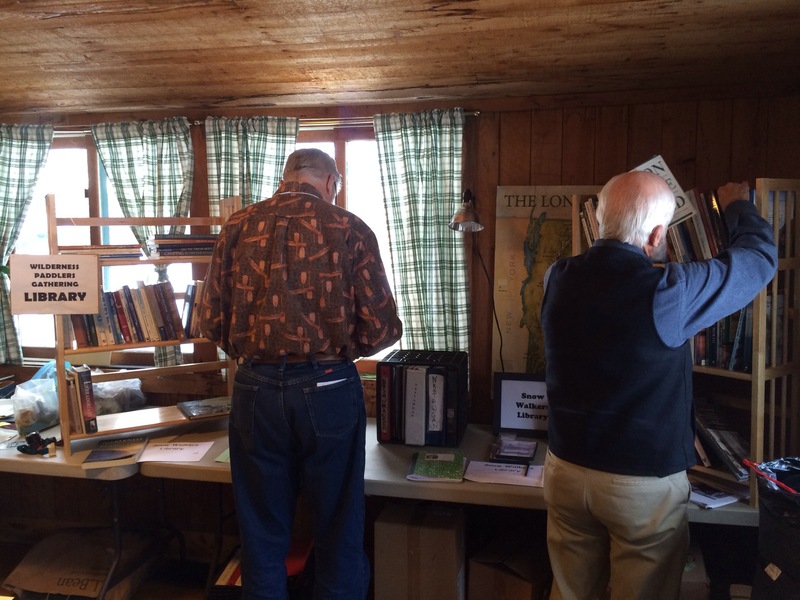 Below is the traveling library that appears at both of the yearly Northern Wilderness Travelers Conferences, including the November Snow Walkers Rendezvous. I borrowed a book that’s been on my list for a long time, Kabloona in the Yellow Kayak: One Woman’s Journey Through the North West Passage by Victoria Jason. I guess that I just can’t get enough of reading by the woodstove, waiting for spring! Mike meeting Dad for the first time on the east shore of Maine’s Umbazooksus Stream. That yellow thing is the collapsible sail that he was experimenting with that summer. 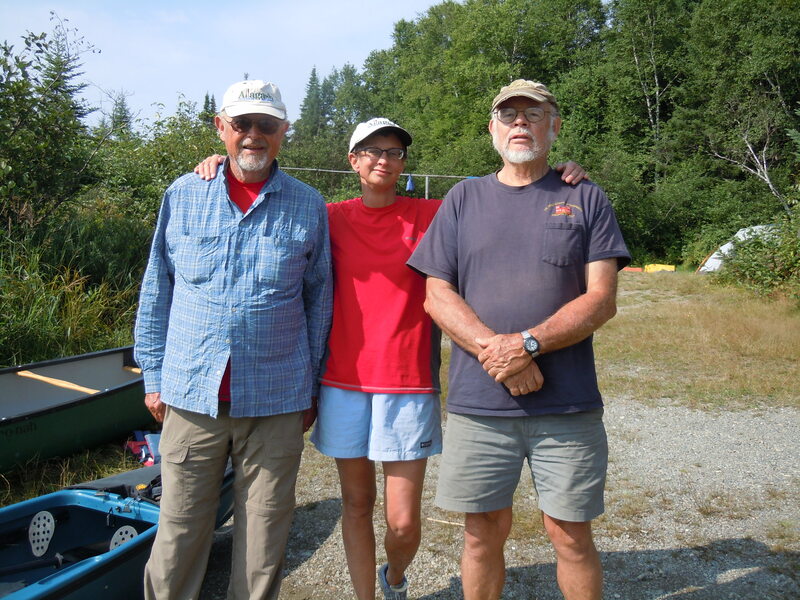 The summer of 2014 was Dad’s time for a grand adventure, a 200-mile section paddle from Spencer Rips on the Moose River to the village of Allagash on the Northern Forest Canoe Trail. He had started out alone and was planning to meet me, so we could do the Allagash together. Our rendezvous hour at the Umbazooksus Stream bridge came and went, though, with no sign of him out on the water. I decided to go exploring. It turns out that you can drive into the last campsite on the east shore of that wide stream, really an arm of Chesuncook Lake. Down through the potholes and brush I went, until suddenly emerging right next to an ancient picnic table complete with roof. Set up next to the table was a roomy canvas cabin tent looking lived in and loved. It was too late to escape without being seen. I stopped and walked down to the shore to say hello to a friendly-looking man sprawled in a camp chair. Mike Messick, from Missouri, had many a story to share and a history of long, adventurous road trips following wherever the spirit would lead. That morning, it had led him to us or, rather, us to him. 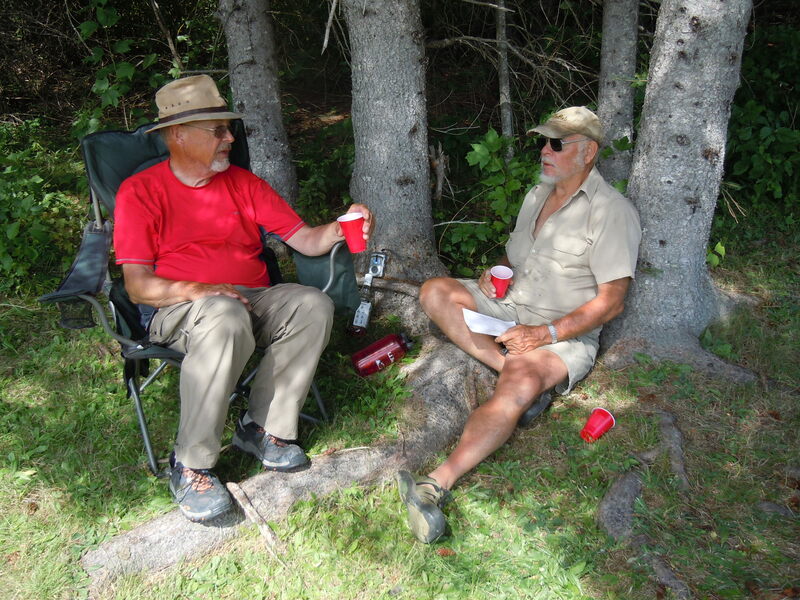 After Dad arrived, over a cup of Mike’s freshly brewed coffee, we found ourselves inviting him to join us on the Allagash. This was a bit beyond the boundaries of our usual behavior, but it turned out to be the birth of a strong friendship. 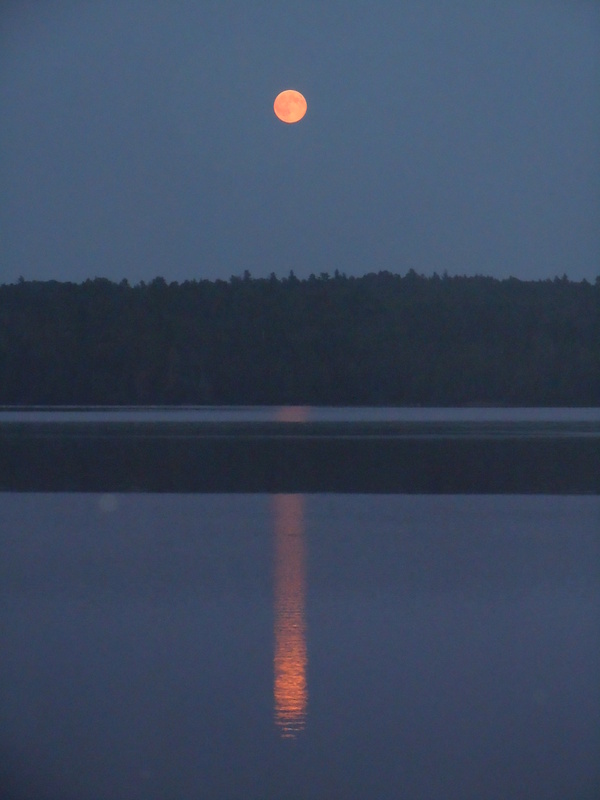 Hastily, knowing the day was moving along, we spread out maps, jotted down the name and number of our favorite outfitter (Tylor Kellys Camps in the village of Allagash), and agreed to meet a few days later at Umsaskis Bridge. Even though we were a bit late in arriving there, Mike was waiting for us with a campfire crackling…and the rest is history, part of which made it into the pages of my new adventure memoir, Upwards. New friends, united by the river. 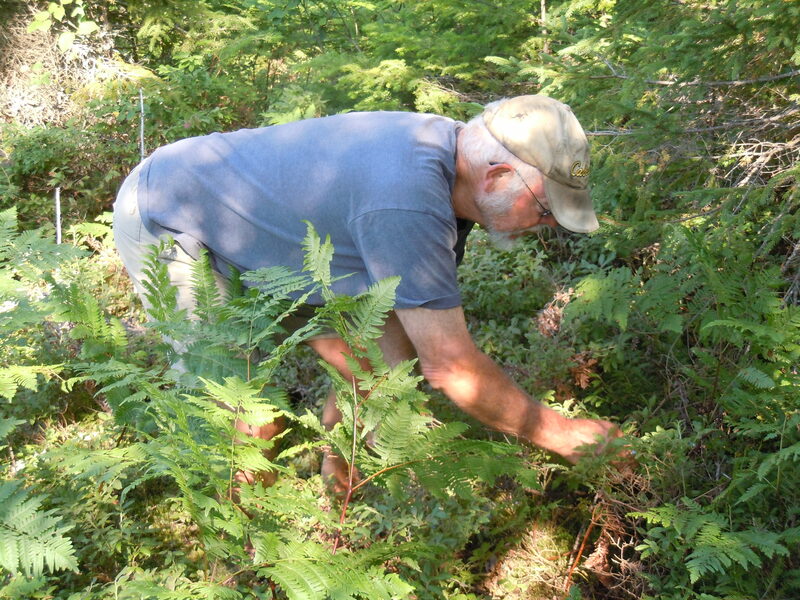 Picking blueberries at the campsite that had it all, including two whitetail bucks, a moose, a gray jay, and plenty of sunshine to light up our morning. An evening view from that campsite, Deadwater North, graces the front cover of Upwards. I’ve been thinking this week that our lives flow along as glistening threads in an almost unfathomable web, their intersections our places of decision or serendipity. My author’s walk, still in its infancy, has been strewn with crossings, some joyful surprises, others the fruit of grasping courage with both hands and making them happen. I’ve met trail founders, penned prayerful inscriptions for friends and strangers battling cancer, and sent copies of Upwards to stores hundreds of miles away. Through it all, the abiding kindness of people and the strength of their stories has filled me with new energy. On Thursday, I came in from my morning bus ride with the students of Bus #14 to discover that my school was celebrating ME, with snacks and speeches and lots of love! The handmade card below, created by Karen Hight, is one I will always treasure. I’ve found there is something in those who go to the rivers and forests of the north that reflects those places and their intrinsic character. These are souls who live by the rhythm of the seasons, who know gratitude and peace. Rooted in the land, they love hearty meals and heartier laughs, have simple stuff, but complex thoughts. They are people like Mike, who quickly become dear to the heart. If you have gone there, you know. If you haven’t, I hope you will! These words of wisdom, from a grandfather to a small girl, are at the heart of the beloved children’s book Miss Rumphius, by Barbara Cooney. A lifetime later, little Alice grows up to become the Lupine Lady, spreading seeds of joy in her town by the sea. 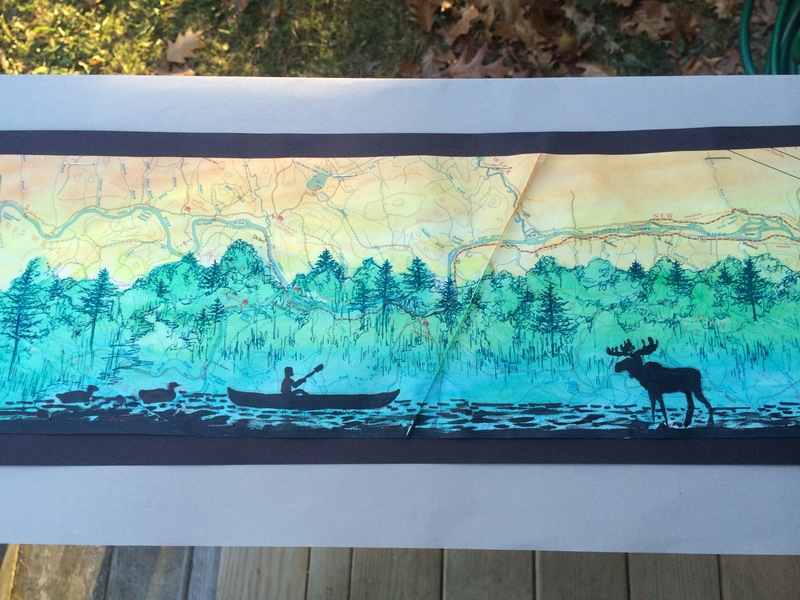 I hope you know this story and its talented author/illustrator, who lived in Damariscotta, the town where I work. Barbara Cooney Porter was a major benefactor of Skidompha Library, providing the foundation gift for the building that became its new home in 2001. When my children and I moved to Maine in the frigid depths of the winter of 2003, we started volunteering at Skidompha. Every Thursday evening, I would process new books and the children’s librarian would patiently and creatively put the kids to work. I wish Barbara Cooney were still here, to read and talk about my about-to-be-released adventure memoir, Upwards. It is an honor and a delight to announce my Book Launch Party, to be held at Skidompha Library, 184 Main St., Damariscotta, Maine, on Sunday, October 29, from 2 to 4 p.m. Everyone is welcome to this celebration, which will include a short talk with the author, refreshments, and plenty of copies of my long awaited book. Please join us if you can! 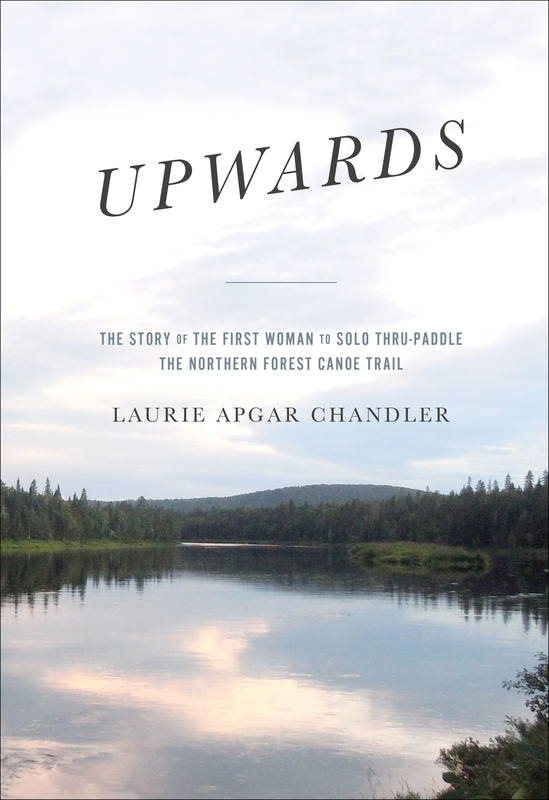 Author lachandler22Posted on October 5, 2017 October 7, 2017 Categories Upwards, WritingTags Barbara Cooney, book launch, damariscotta, Maine, Skidompha Library, Upwards2 Comments on Up, up and away! Without a doubt, there is a mystique about the Appalachian Trail, a romance that calls disciples from all walks of life. It whispers a song of misty valleys, delicate wildflowers, rushing streams, and coal-black bear – and a narrow, winding footpath across 14 states. About the thru-hiker, too, there is a mystique. Why would a person pare life down to the essentials of bare bed, utilitarian calories, unchanging garments, and set out to walk-like-a-job for many months? Thru-journeys, be they on land or water, thrill the soul – during the planning months. Later, they test the depths of commitment, tenacity, self-content, and resourcefulness. Not everyone is cut out to finish. Most of you know Katina Daanen well from the integral role that she played in my Northern Forest Canoe Trail thru-paddle. Caring friend, author of The Northern Forest Canoe Trail Through-Paddler’s Companion, and insightful reader of Upwards from the start, Katina has always been there for me. 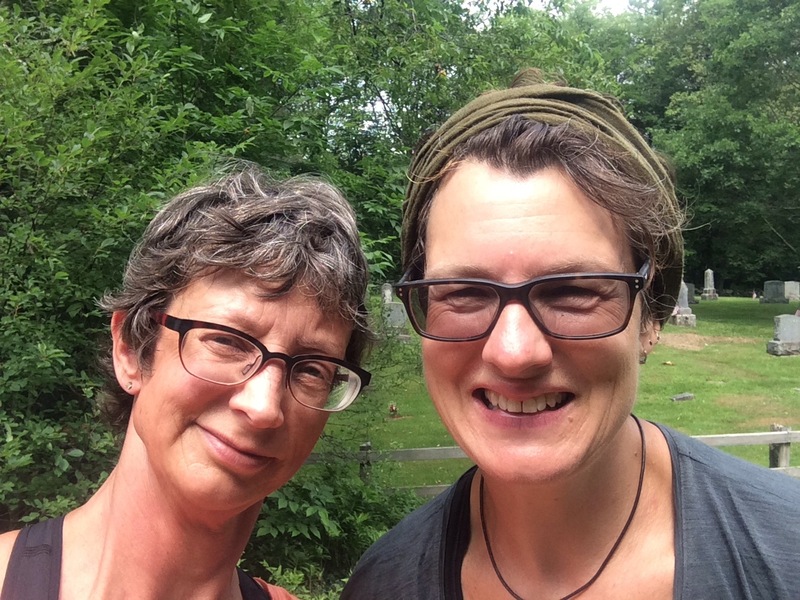 Last summer, Katina gave me a taste of thru-hiker life for a few days near the Vermont-New Hanpshire border. Today my good friend will become one of a handful of people who have completed both the Northern Forest Canoe Trail and the Appalachian Trail. Hers has been a flip-flop hike, completed over two years. Avoiding the crowds, tempering the weather extremes, more and more thru-hikers are choosing to start in the middle of the trail, as she did in Shenandoah National Park. Very special to me is the fact that I happened to be visiting Virginia when “Arachne” (her trail name) started in April 2016 and I’m here now, too! Tomorrow, Megan and I will breakfast with Katina and her husband Sam at their inn, and celebrate her accomplishment. We’ll also get to talk book details, as Katina is designing the book’s trail map. Tomorrow is sure to be a highlight of my week here in Virginia!